All my Christmases came at once when I received this month’s Kawaii Box*. Santa himself couldn’t have picked more perfect gifts. For those of you who don’t know, Kawaii Box is a monthly subscription service, offering plenty of cutesy Japanese & Korean goodies. The first thing that caught my eye was the adorable Neko, kitten plush. She is beyond cute and a welcome addition to my plush collection. Nestling next to Neko were a pair of pink polka dot, ribbon shoe laces. They’re very girly and would spruce up any pair of shoes - imagine them on pink converse! 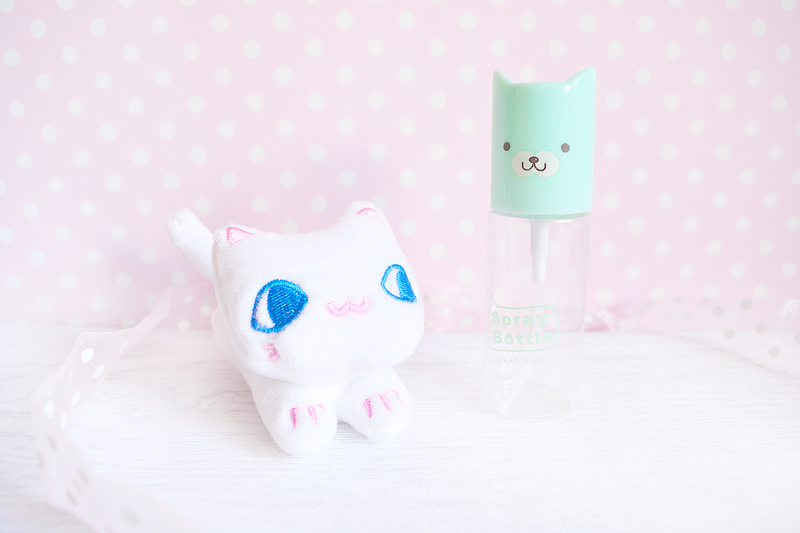 I'm going to fill the mini, mint animal spray bottle with some body spray and use it as a travalo. There was quite a few stationery items in this month’s box, much to my delight. 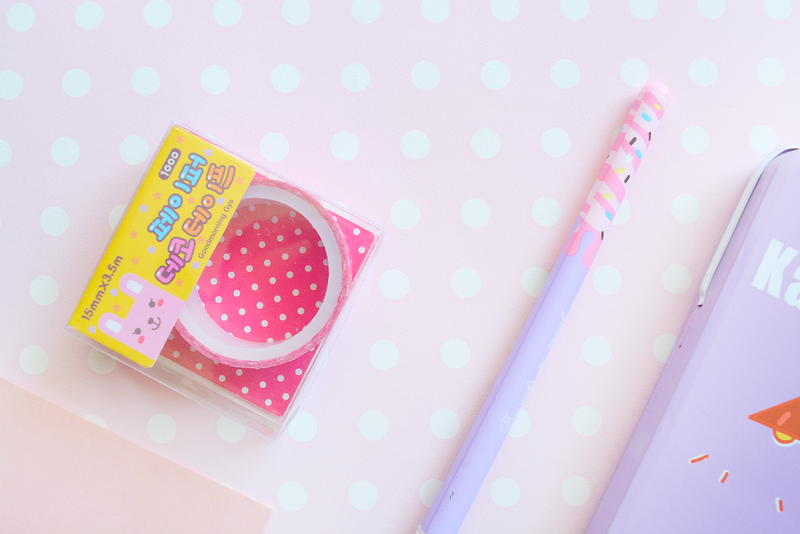 There was a "cloud memory" letter set, Korean pink polka dot washi tape, some puffy paradise stickers and a dino tin pencil case! My favourite item from the entire box is the beautiful lilac & pink, macaron pen. It has my name written all over it. From the tiny macaron charm on the end to the pink frosting & sprinkle tip. It has “desserts so sweet” written on it because, well, they are. 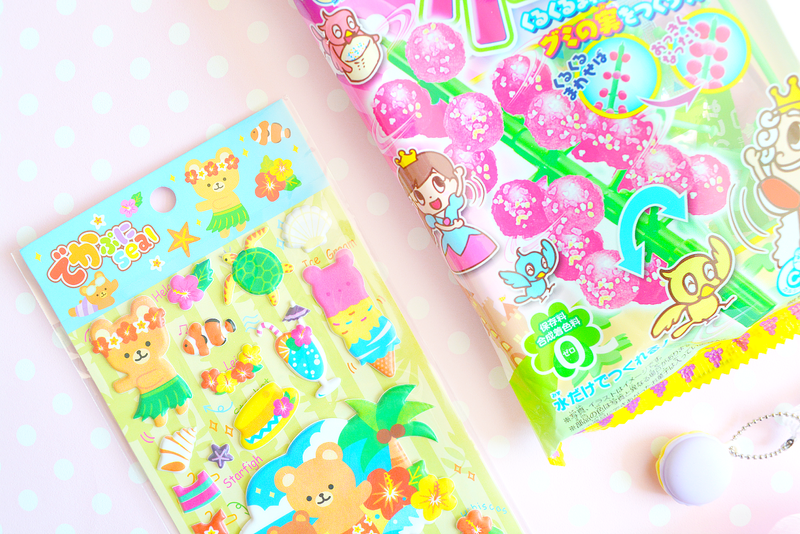 Speaking of sweets, Kawaii Box threw in a DIY candy kit! I love the authentic Japanese packaging - it’s so fun and playful. The sweets are designed to look like a stem of cherries and I can’t wait to try them. I also got a green, squishy popsicle charm. I’m not sure what I’m going to do with this yet but I’m sure I’ll find a use for it. The final item in this month’s box is a teeny, tiny alpaca tin case. It has “the beautiful things” written on it which is so fitting. In fact, that should be Kawaii Box’s slogan because everything in this box is beautiful. 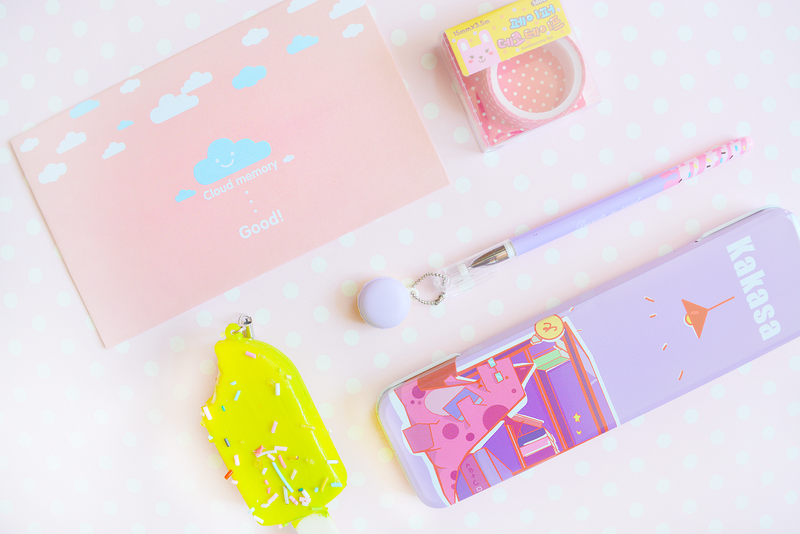 I am so happy with all the items in my Kawaii Box and I’m seriously considering subscribing! The box was delivered super quick and was packaged with pretty tissue paper & little postcards. If you can handle the cuteness in this box then head over to www.kawaiibox.com to subscribe now. You can choose from a range of payment plans to suit your budget & needs. I’ll be giving away a box very soon so keep your eyes peeled! 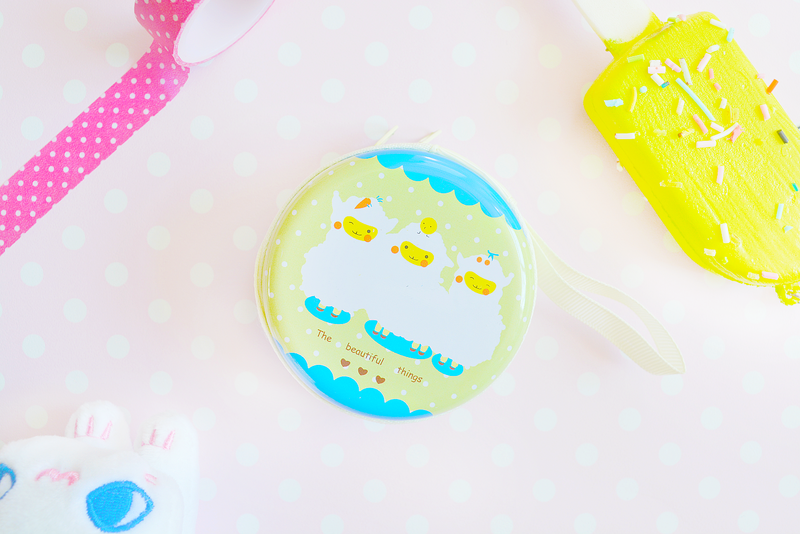 Did you like this Kawaii Box? What was your favourite item? I like the macaron pen, it's such a cutie. I loved everything, especially the kitten plush and the macaron pen..
the little plush kitty is adorbs! Love the plush kitten! Too cute.